Over this month you have read about learning a second language, listened to students express their opinions on the topic and discussed your own opinions as well. Now it’s time to write a reflection. Look back at the texts, the Exploration, Vocabulary, Comprehension, Images and Opinion tasks and use the information to write a reflection on the topic of learning a second language. Think about what you have learned, what was interesting, and what your overall response is. For this discussion use the reading from this month Younger is not always better when it comes to learning a second language and the listening from this month Why should you learn a second language? What is the ideal way for young children to learn a language? What skills do adolescents need to learn a new language? Someone who chooses to study a second language by themselves is usually in what age group? Click on the links to look at these images relating to the topic of learning a second language. Discuss the 3 images in detail. When did you first start learning a second language? What age do you think is best to start learning another language? Why did you start learning a second language? 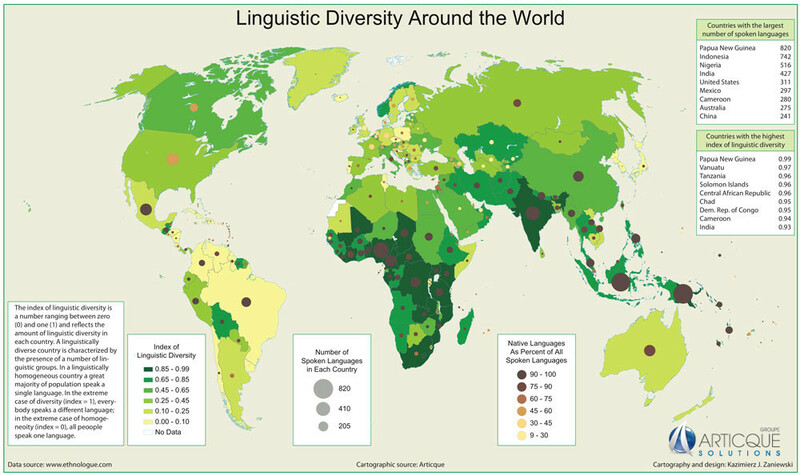 Do you think everyone should learn a second language? What do you think the advantages and disadvantages are of learning in a classroom compared to learning online? 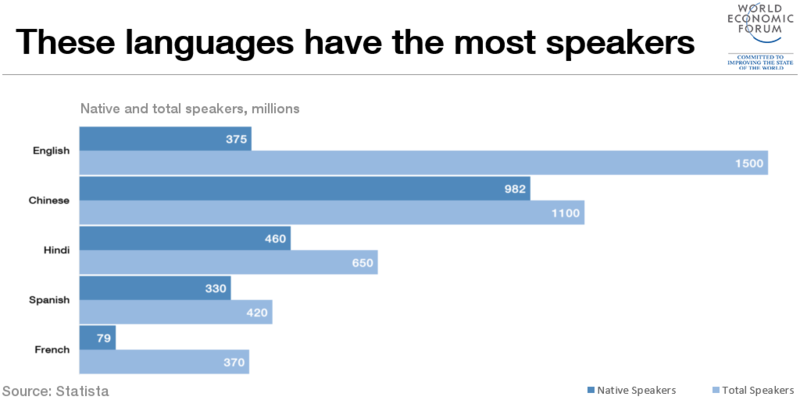 Why should you learn a second language? Listen to these students discussing their reasons for learning a second language and their opinion on why people should learn a second language. From this month’s activities you have listened to a lecture and read an article about the problem of ocean plastic pollution. You have then done further research and written a report on plastic pollution. Now it’s time to use all this information to prepare a spoken presentation on plastic pollution. Include visual aids and use palm cards with keywords to help you remember your speech. Practise your talk before your final presentation to improve your confidence! Remember this is a spoken presentation….DON’T read from a script…….DON’T memorise a script……..DO speak naturally and…….DO video yourself to assess your own presentation techniques. For more activities on spoken presentations go to Unit 8 Biography. After listening to the TED Talk on The Surprising Solution to Ocean Pollution and the ABC New s article on Plastic and how it affects our ocean it’s your turn to do some more research on the topic of plastic pollution to prepare a report on. Choose a country to focus your research on to find out more about the problem of plastic pollution in that country and any things they have done to solve the problem. Find at least three different resources about plastic pollution in your chosen country. For more information on how to write a report go to Unit 13 Report Writing. What do you know about plastic waste and the impact on the ocean? Listen to this TED Talks by David Katz titled The Surprising Solution to Ocean Plastic and take notes the first time you listen. According to David Katz, what is the last thing we need to do? How much plastic is produced each year? Where is 80% of ocean plastic coming from? Plastic Bank encourages recycling by offering trade with plastic bags for what type of things? What do Plastic Bank do with the plastic they get? What does plastic neutrality invest in? What are the advantages of social plastic? For more note-taking activities go to Unit 6 Scanning, Skimming and Note-taking. What did you think of the film Ocean’s 8? Write a film review to let others know about the film and give your opinion. What is the title of the film? Who are the main actors? What year was the film made? What is the plot of the film? Write a summary of the plot – but remember don’t give away the ending! Describe the main characters – what is their name? what do they look like? what do they do? Where is the film set? What is your opinion of the film? Rate the film – give it a score out of 10. For more activities on summary writing go to Unit 12 Summarising. Ocean’s 8 is an American comedy about a group of women who plan to steal a diamond necklace worth 1.5 million dollars. Good ……………… Miss Ocean, as you know ……………………..is a privilege. It was a ………………….., ahhh but it ………………….., and umm if I …………………..to be released I would umm I would …………………..want the simple ……………….., I just want to …………….down a ……………., make some …………………, yeah, ……………..my bills. Even if this was ………………..you’d need 20 people. 7 …………………. Why do you …………………..to do this? Cause it’s what I’m ………………….at. How ………………….would it take you to make ………………pieces of jewellery? 5 or 6 …………………….. How long if I ………………..you you didn’t have to ……………….with your mother ……………………? Less. What’s your ……………….? Nine Ball. What’s you …………………name? Eight Ball. I’m gonna be ………………..poor. What if we ……………….make all this go ………………….. Can I get my ………………..back please? And hers as ……………….? Sorry. It’s ok. I am with my ……………………I told you not to. I’m in ……………..garage. Do you want …………….to tell you how …………………..the job is? No ……………out. I’ll tell ……………..how big the …………………..is…I’ll be back ……………………..you know it. Can I ……………..with you? This is Mommy’s ………………..special work ………………. In ………………….and a half weeks The Met will be …………………it’s annual ………………….and we are ………………..to rob it, not the ball itself, on the ………………..of Daphne Kluger. Valued at ……………..100 million dollars, ……………….million actually. …………………it’s a two for. Do ………………run a job in a ……………….. Kluger Smith? Can’t ………………..just go to ……………..? Do we have to ………………stuff? Yes. Is ………………..genetic? Are the ………………….family like ……………..? Literally. Now you can go and watch the film! Good afternoon Miss Ocean, as you know parole is a privilege. It was a mistake, ahhh but it happened, and if I were to be released I would umm I would just want the simple life, I just want to hold down a job, make some friends, yeah, pay my bills. Even if this was possible you'd need 20 people. 7 people. Why do you need to do this? Cause it's what I'm good at. How long would it take you to make seven pieces of jewellery? 5 or 6 hours. How long if I told you you didn't have to live with your mother anymore? Less. What's your name? Nine Ball. What's you real name? Eight Ball. I'm gonna be really poor. What if we could make all this go away. Can I get my watch back please? and hers as well? Sorry. It's ok. I am with my family I told you not to. I'm in your garage. Do you want me to tell you how big the job is? No I'm out. I'll tell you how big the job is. I'll be back before you know it. Can I come with you? This is Mommy's very special work trip. In three and a half weeks The Met will be hosting it's annual ball and we are going to rob it, not the ball itself, on the neck of Daphne Kluger. Valued at over 100 million dollars, 150 million actually. Revenge it's a two for. Do not run a job in a job. Kluger Smith? Can't we just go to this? Do we have to steal stuff? Yes. Is it genetic? Are the whole family like this? Literally. For more listening activities go to Unit 7 Listening to Lectures.